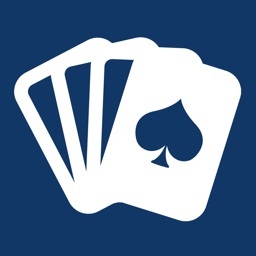 Discover the best collection of solitaire card games ever created for iOS devices. 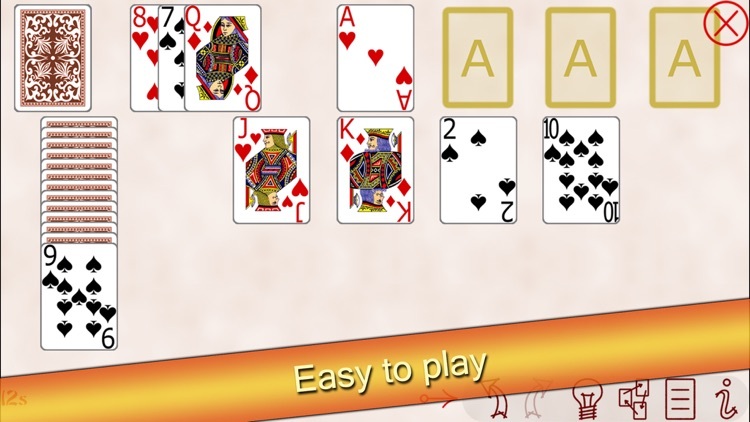 Intuitive, simple, friendly, beautiful... just great. 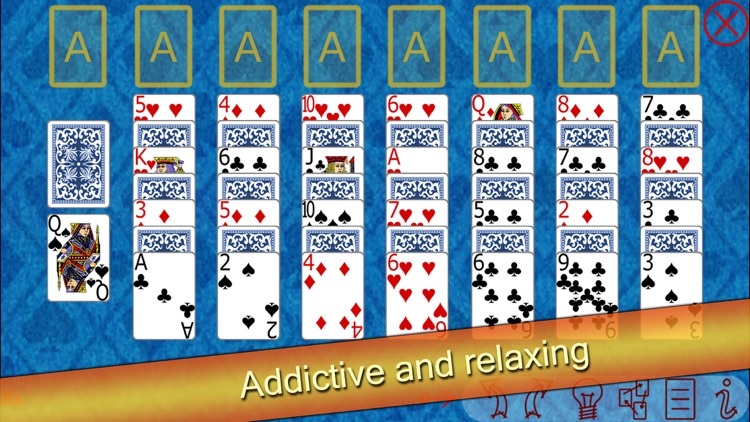 Note: This game includes advertising. 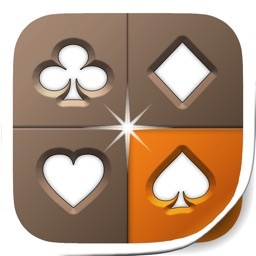 Initially you will have 15 types of solitaires, but you can unlock up to 45 types of solitaires completely free. 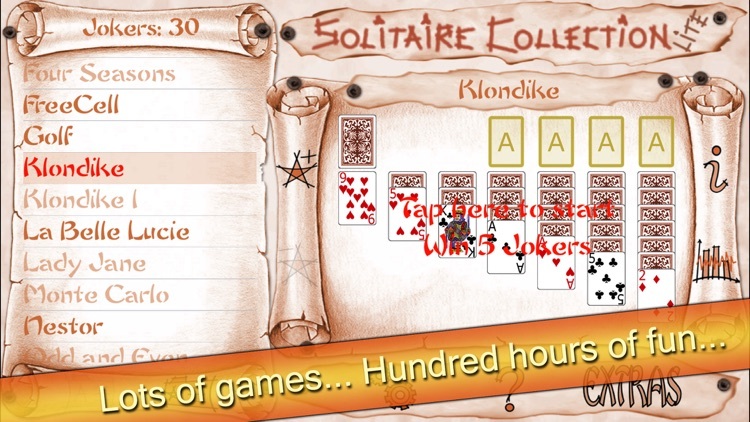 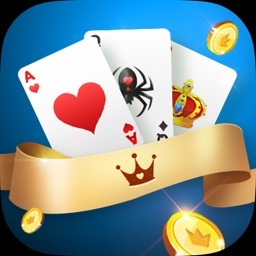 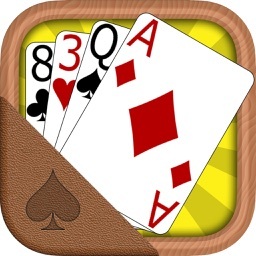 Solitaire Collection Premium is a collection of 45 solitaire card games including the most famous and fun solitaire card games like Klondike, FreeCell, Spider, Forty Thieves, Yukon, Scorpion, Pyramid and many more. 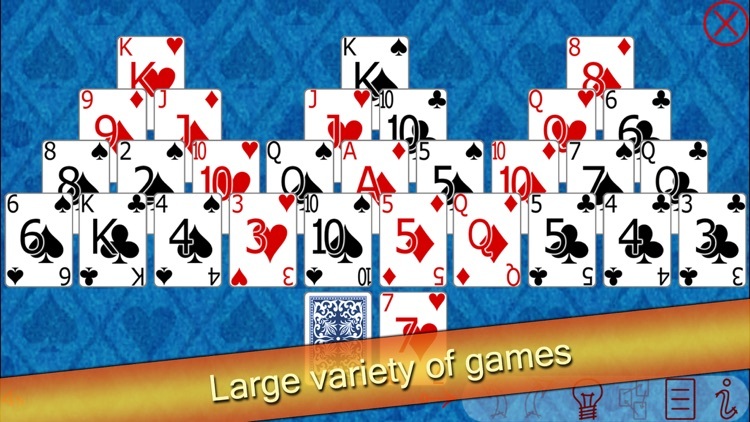 This collection includes the following solitaire games: Ace of Hearts, Aces Up, Alternations, Baker's Dozen, Beleaguered Castle, Bisley, Box Kite, Bristol I, Busy Aces, Canfield, Cruel, Demons and Thieves, Double Klondike, Double Pyramid, EastHaven, Eight Off, Eliminator, Forty Thieves, Four Seasons, FreeCell, Golf, Klondike, Klondike 1, La Belle Lucie, Lady Jane, Monte Carlo, Nestor, Odd and Even, Osmosis, Penguin, Pyramid, Russian, Scorpion, Sea Towers, Shamrocks, Simplicity, Spider, Spider 1 Suit, Spiderette, Strategy, Tabby Cat, Tower of Hanoi, Tri Peaks, Twenty and Yukon. 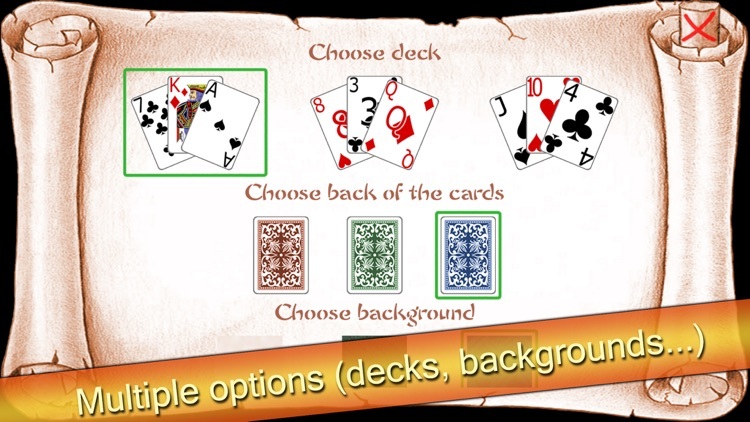 Designed to become a referent of iOS games, comes with many options and a huge variety of games that will offer hours of fun. 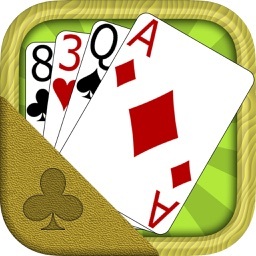 Important note: Please, rates and comments on App Store are welcome and will help me to continue improving the game even more, including more and more solitaire games and new options. 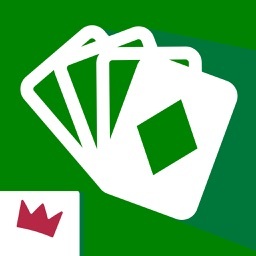 Any suggestions, new games to incorporate, improvements... can be communicated to me by email and will be attended.